The TRADEIT Network, an EU initiative to drive growth in the SME food producers sector, led by Institute of Technology in Tralee, has called on micro, small and medium food producers in Ireland to share their views and inform a key set of funding recommendations to the European Commission for the sector. TRADEIT has been engaged in an EU wide consultation with small to medium enterprise (SME) Food Producers since 2013, via 9 hubs, to identify the innovation opportunities, needs and challenges of traditional food based enterprises. The final phase of the project involves the completion of a Strategic Research and Innovation Agenda (SRIA) for the sector, which will be presented to the European Commission. More than 150 small Irish food producers have been actively involved to date, 850 in total across 9 EU countries. Panasonic announced the first LED LCD TV in the world that meets the stringent standards of the UHD Alliance’s new highest ‘Ultra HD Premium’ specification. This means that the inter-industry UHD Alliance (UHDA) group – which is composed of leading film studios, consumer electronics manufacturers, content distributors and technology companies – has assessed the new Panasonic DX900 as meeting a whole range of tough picture performance criteria. This takes in everything from resolution and high dynamic range (HDR) performance to image precision, wide colour gamuts and more besides. 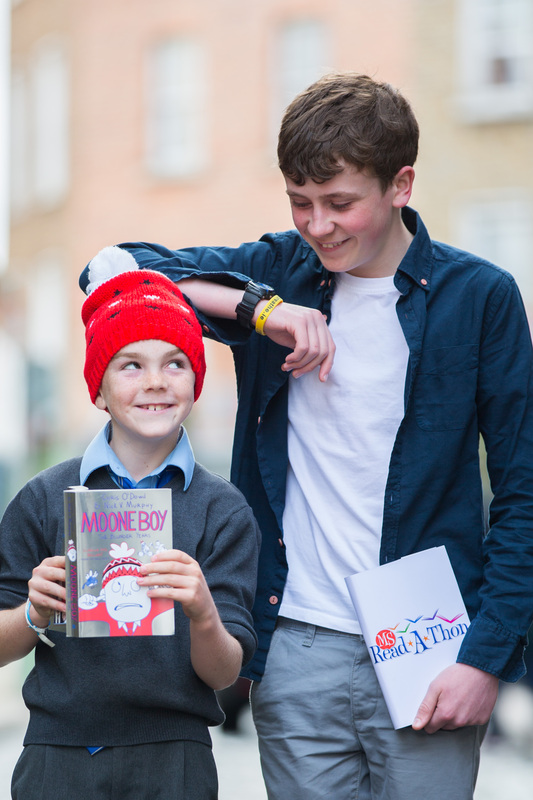 With almost 500 Irish schools and 459 home-based readers returning donations for MS Readathon 2015, the message from Multiple Sclerosis Ireland to young readers was to keep reading. During MS Readathon reading month as many as 100,000 books were read by children raising funds to support people with MS in their community. MS Ireland’s 2015 survey of grown up readers revealed that 96 per cent would like to make more time for reading. 4 in 10 of us read to escape and another 4 in 10 read mainly to relax. 17 per cent read to expand their knowledge. 6 in 10 pick up another book immediately after finishing one. Recommendations from family or friends are the biggest influence on what we read for one third, the author is a key factor for 30 per cent, while the mood of a book is most influential for 28 per cent. Ireland’s favourite place to read is in bed (60 per cent) with the couch in second place (26 per cent) and public transport ranking third (6 per cent). Irish author Marisa Mackle makes sense of this: “The best thing about reading is that you can travel the world and even go back in time without having to get out of bed! “Power in the jobs market is returning to jobseekers,” according to Jane Lorigan, CEO of Saongroup.com Ireland, parent company of IrishJobs.ie and Jobs.ie, as the latest Jobs Index from IrishJobs.ie recorded a 14 per cent rise in the total number of jobs advertised annually. Total jobs advertised increased by 2 per cent in the third quarter, July to September 2015 compared with the previous quarter. The Jobs Index is a leading indicator for the jobs market reporting on all jobs advertised, including professional roles. Medical Professionals and Healthcare, up by 50 per cent; Science, Pharmaceuticals and Food, up 45 per cent; Transport up by 40 per cent; Hotel and Catering, up 31 per cent; Production, Manufacturing and Materials, up 22 per cent; Secretarial and Admin, up by 23 per cent; HR and Recruitment, up by 20 per cent; Banking, Financial Services and Insurance, up 18 per cent; IT, up by 11 per cent; and Construction, Architecture, Property and Engineering, up 7 per cent, compared with the same time last year. In tandem with the Jobs Index, IrishJobs.ie monitors Jobseeker Sentiment surveying more than 1,000 people either in work, currently unemployed or in education/training. 61 per cent of those surveyed, in employment, are confident that the jobs market is getting better, along with 38 per cent of those in education or training. Only 25 per cent of jobseekers, not in employment are positive about the jobs market revealing a significant gap in optimism. Christmas has come early to PR Wise as we have been busy pitching Hasbro toys and games to TV producers and Gift Guide editors since August! 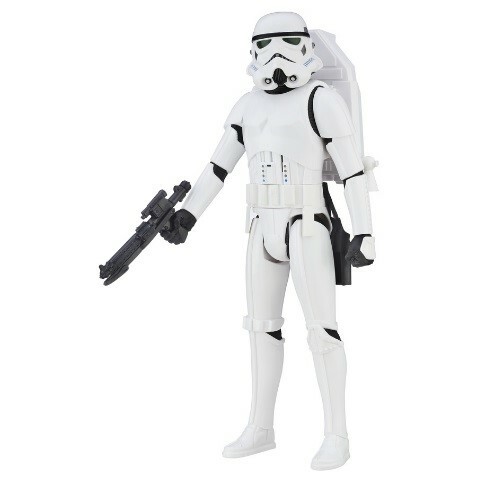 We are literally surrounded by toys in the office – Star Wars, Nerf, Transformers, Jurassic World, My Little Pony, FurReal Friends, Play-Doh – and not forgetting family favourites like Monopoly and Pie Face. 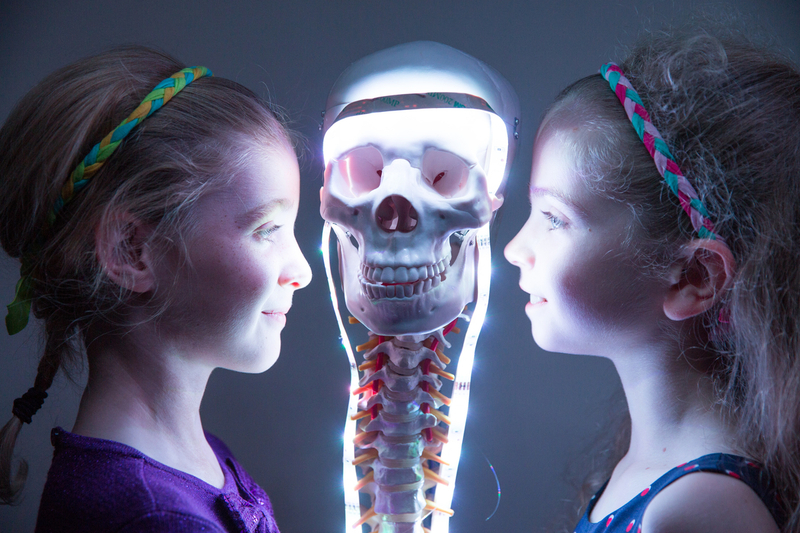 October saw the Chiropractic Association of Ireland run their annual Straighten Up Ireland Week which included World Spine Day on the 16th. This year’s theme focused on ‘Healthy Spine, Healthy Brain’ to highlight the importance of a strong, flexible and balanced spine to keep brains healthy and enhance overall body function and quality of life. Panasonic exhibited its latest products and technologies at IFA 2015, in addition to opening a brand new Panasonic store in Belfast. With the annual Panasonic Convention coming up in February, we’re excited to learn about all the new products launching in 2016 – watch this space! 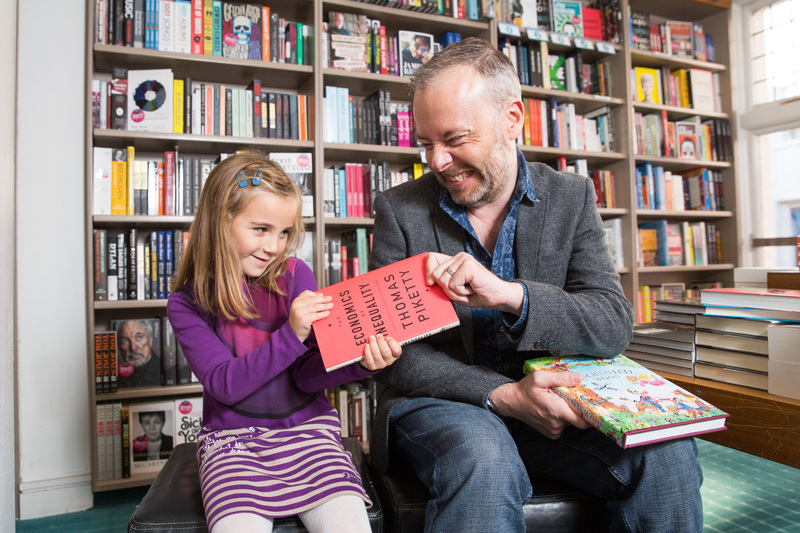 The 28th MS Readathon was supported once again by popular Moone Boy actors David Rawle and Ian O’Reilly, joined by seven year old twins Leon and Mya Russell and their Mum Lucina, who has multiple sclerosis. The self confessed reading enthusiasts encouraged schools nationwide to immerse themselves in books this October and raise vital funds for people with multiple sclerosis in their community. 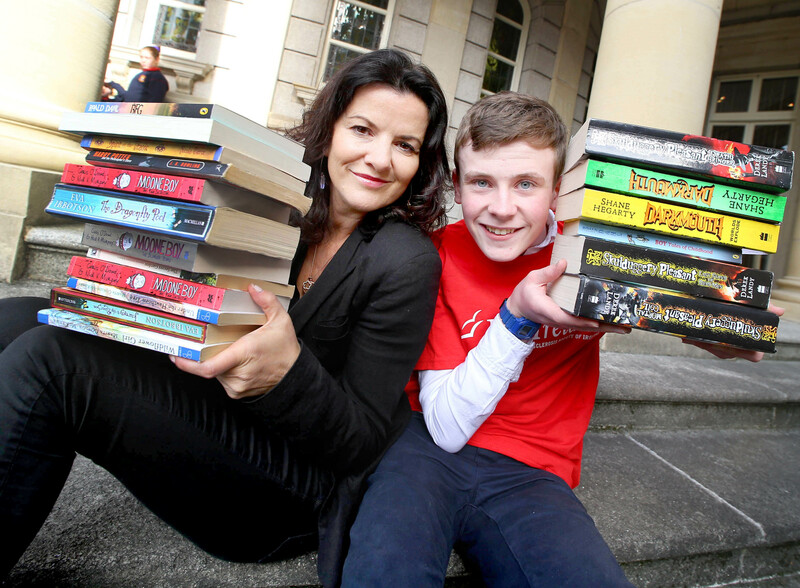 Last year saw over 15,000 children in 450 schools take part www.msreadathon.ie. “There’s nothing worse than reading a book you really aren’t enjoying. And it might even put you off reading for life, which would be TERRIBLE! So try reading lots of different types of books. You will find ones you love. Trust me. A good place to start is by looking at your own interests. If you love playing football, try reading a football book. If you’re addicted to video games like Assassin’s Creed, read sci-fi or adventure books. “Reading is meant to be fun, so choose the books you enjoy. However, don’t be afraid to stretch yourself, or to try something unfamiliar – you might get a wonderful surprise. “Reading is…a magic key to not just a new dimension, but endless, countless dimensions. It’s a time machine, a magic carpet, a rollercoaster and a super-charged starship all in one. 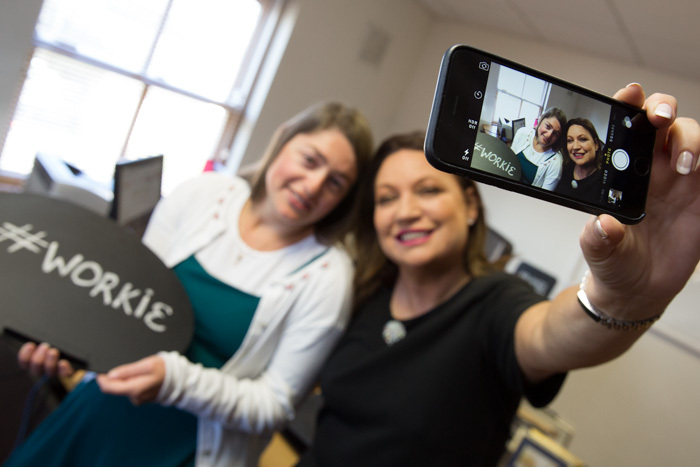 The team here at PR Wise was delighted to be involved with the ‘kindest’ festival in Ireland, the Random Acts of Kindness (RAOK) Festival Clonakilty, which celebrated it’s fourth year with events to mark ‘One Kind Day’ on Saturday 18th July. The RAOK Festival celebrates, encourages and showcases the kindness and spirit of people locally and visitors to the town alike. ‘Kind’ activities took place throughout Clonakilty from dawn until dusk to create ‘One Kind Day’ in the town. To start the day on a celebratory note, an Early Bird Boogie, West Cork’s first, opened the festival. 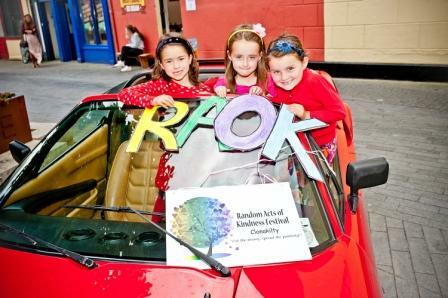 The touring RAOK Compliments Car gave out compliments to one and all and a free family BBQ took place in theEmmet Hotel, Emmet Square. Other activities and events which took place on the day were PARK (Park for Acts of Random Kindness), pop up music performances, kindness zones, Random Acts of Drama, a sandcastle competition at Inchydoney Beach, storytelling and much more. The day ended on a high with Random Acts of Dancing in De Barras. ‘Kind’ acts were encouraged in the run up to the festival and Noel Lawlor and Sinead O’Crowley, Clonakilty Chamber of Commerce together with RAOK Festival organiser Theresa O’Leary, presented a gift of the town’s produce and crafts to Jason Field of Skibbereen and District Chamber, to mark the RAOK Festival Clonakilty. RAOK Festival organisers hope that the success of this event for the past four years will encourage other towns throughout Ireland to join in and take part in the coming years. The latest quarterly IrishJobs.ie Jobs Index reported an annual increase of 17 per cent in the total number of jobs available with a 7 per cent increase in the second quarter, April to June 2015 compared with the previous quarter. The Jobs Index reports on all jobs advertised, including professional roles, a leading indicator for the jobs market. Sectors driving an annual increase of 17 per cent include: Telecoms, up 41 per cent; Science, Pharmaceuticals and Food, up 28 per cent; Financial Services and Insurance, up 49 per cent; Construction, Architecture and Property, up 18 per cent; Retail, up 15 per cent; and Tourism, up 14 per cent, compared with the same time last year. Rising numbers of job vacancies are recorded against a backdrop of strong sentiment in the jobs market among jobseekers. Overall, 50 per cent of jobseekers, either employed, currently unemployed or in education and training, believe that the jobs market is improving. Of jobseekers surveyed, currently employed, two thirds believe that the jobs market it getting better and more than half claim to be more secure in their job compared with 12 monthsago. Almost two in 10 have already received a salary increase this year and three in 10 are expecting an increase. A great degree of mobility is evident among jobseekers. 93 per cent of those surveyed, both employed and unemployed, would upskill or retrain for a new job reflecting a work force that is open to filling available positions and taking on new challenges. During the second quarter this year, April-June 2015, employers were hiring across many sectors and the Jobs Index reports increases for sectors including: Medical Professionals and Healthcare, up 32 per cent; Legal, up 15 per cent; Manufacturing, up 17 per cent; Hotel and Catering, up 15 per cent; Science, Pharmaceuticals and Food, up 13 per cent; Transport, up 12 per cent; and IT, up 11 per cent. 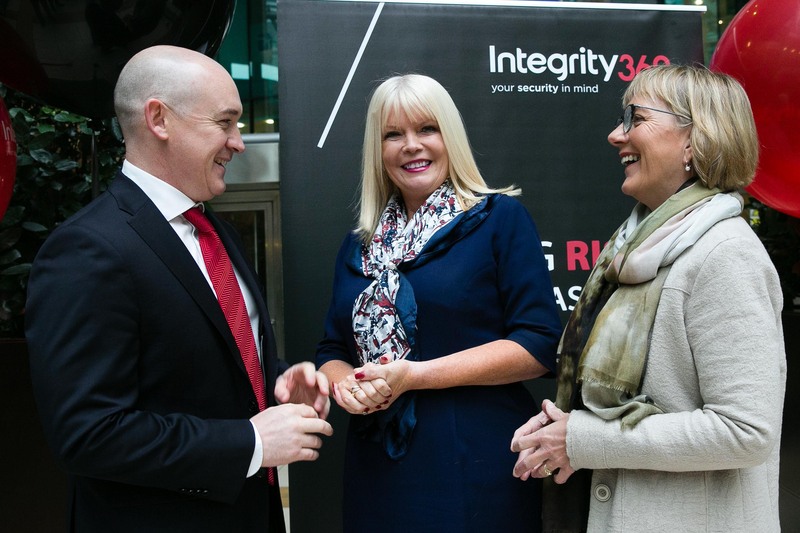 Decreases were evident in some sectors in the second quarter 2015 with Sales and Marketing both down by 4 per cent; Social and Not for Profit, down 14 per cent; Security, down 8 per cent; and Customer Service and Call Centres, down 5 per cent. The Motorola Event on July 28th took us to London to see some great new phones launch – the all new Moto G, Moto X Play and Moto X Style. Motorola has announced the next generations of its most popular phones — Moto G and Moto X. The new phones feature best in class cameras, meaningful software experiences and personalisation options – all at exceptional prices. The new Moto G: The phone that’s always there for you. The new Moto G is ready to weather any storm with you, literally, thanks to IPX7-rated protection and Corning Gorilla Glass, so you’re safe from accidental drops into water as well as unsightly scrapes and scratches on your display. With an all-day battery, it won’t ever bail on you when you need it most and its 13 megapixel camera is ready to capture new memories with a flick of the wrist. The new Moto X family: Finally, phones that love you back. Moto X Play With up to 48-hours of battery life and a water-repellent design, Moto X Play will love you back day and night, rain or shine. Stay connected on your commute, at work, at play and whenever you need it most—and still have enough battery to get you into the next day. Take brilliant photos and stunning videos with its 21 megapixel camera, and show them off on the edge-to-edge 5.5-inch HD display. And living up to its name, get all the power you need for gaming, streaming and multi-tasking at the speed of life with a Qualcomm® Snapdragon™ processor. 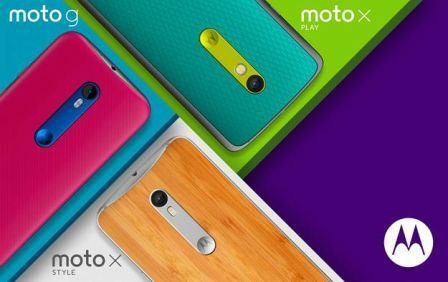 Moto X Style in a variety of vibrant colors or authentic materials including new Saffiano leather and real wood with unique grains. Immerse yourself in entertainment with an expansive 5.7-inch edge-to-edge display that’s enhanced by rich stereo sound. And when your battery needs a boost, the world’s fastest charging smartphone5 will get 10 hours of power in just 15 minutes of charging with TurboPower. With all three of these new smartphones, we’ve used some of the most advanced camera technologies available, so Moto X Style now boasts one of the best cameras in the industry. You can take crystal-clear photos and video with the 21-megapixel camera or look your best in selfies or video chats with the 5-megapixel front-facing camera featuring a wide angle lens and selfie flash. Madison Harmon is on an internship with PR Wise as part of the EUSA programme. Madison is studying Journalism at the University of Kansas and she is in Ireland for 6 weeks with a group of undergraduate students from all over the US. L´Oréal, a beauty brand, recently gathered 100 women to film a make-up-testing social experiment. The premise was this: assemble women at the L’Oréal studio where they received a makeover with the focal point being the company’s waterproof mascara. The women were then photographed and corralled into a movie theatre to watch, perhaps, the movie best designed to play on traditional perceptions of female emotions: Titanic. L’Oréal documented the women’s experience throughout the movie, and after a movie filled with approximately 162 minutes of tear-worthy scenes, L’Oréal’s waterproof mascara stayed where it is meant to be – on your lashes and not running down your face. The video ended emphasizing the point that the mascara allowed the women to remain beautiful despite their emotional tendencies. While this campaign was effective, in its ability to prove the capabilities of the product, it raises some questions. Increasingly, society is ascribing to the idea of gender fluidity, a state when one is a dynamic mix of masculine and feminine seamlessly moving between the two gender norms and identifying with neither. Additionally, feminism is experiencing a modern rebirth and is undergoing perhaps its most successful campaign toward gender equality. So it is intriguing that L’Oréal opened its promotional video with the line, “Women like to express their emotions.” The short film continued with more allusions to the female psyche and her many stereotypes. 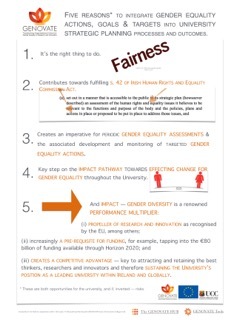 While femininity is an important identifier for some, and embodies L’Oréal’s target audience, it is not for others and such a disregard for the “others” sheds light on an often-forgotten PR faux-pas: ignoring those who lie just outside one’s target. This audience is still reachable with strategic communication but is often ignored to the detriment of the company. This campaign binds women to their femininity while simultaneously rejecting those who may not identify with traditional ideals. It removes women from modern concepts of gender, which allow women to be more than just beautiful. While L’Oréal is restricted in many ways based on its product line-up, it is curious that the company did not take a stance similar to Dove in which it promotes personal confidence and acceptance rather than the superficiality of one’s beauty and adherence to obsolete social-cultural norms, especially considering the viral affect the Dove campaigns have had, and the near universal appreciation they have created for the every woman. The L’Oréal mascara campaign diminishes acceptance and rebuilds ancient beliefs that restrict women rather than work to liberate them. While I do wear waterproof mascara and am appreciative of it in times like the goodbye scene in Titanic, I certainly do not wear it to feel beautiful while expressing my emotions. There are 5 days to go until World MS Day 2015 May 27th and the MS community is building momentum with the call ‘Together we’re stronger than MS’. This is a great slogan, representing people with MS, their families, the whole MS community, MS Ireland and everyone, working together to be #strongerthanMS. Multiple sclerosis is the most common disabling neurological condition of young adults in Ireland, with more than 8,000 Irish people affected. MS is most commonly diagnosed between the ages of 20 and 40 with a huge impact on lifestyle, family, work and overall quality of life. Three times more women than men are diagnosed with MS. There is currently no known cause or cure for the condition. 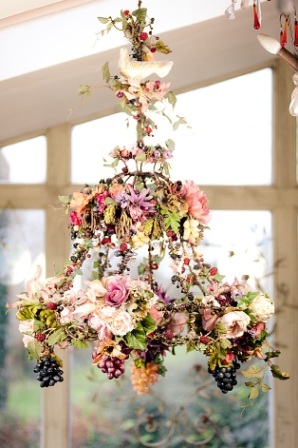 Hedgerow Garlands has launched some really beautiful and unique flower chandeliers, wall garlands and table centrepieces in an exquisite fusion of rustic and baroque styles. Vintage glass and porcelain flowers and birds, beads, millinery flowers, glass-sugar berries, feathers and grapes and Victorial epergnes feature in the eyecatching designs, alongsidehand-painted silk, cotton, mulberry paper, and velvet. Illuminated by tiny soft-white L.E.D’s, the chandeliers also feature items from the artist’s garden and surrounding hedgerows to include everlasting organic materials such as honeysuckle-vine, alder catkins, willow, rugosa and poppy seed-heads. Artist Maria-Aida Austin collects her innovative materials from a wide variety of sources. From bric-a brac, second-hand andvintage shops: vintage glass and porcelain flowers and birds, beads, millinery flowers, glass-sugar berries, stamens, feathers, rubberized and glass grapes, Victorian epergnes. From the high street and online: silk, cotton, mulberry-paper and velvet flowers, mainly in white. Each one is hand-painted with water-colour and fabric paint using a soft colour-palette to give the flowers the kind of depth and anomaly that is found in nature. The 2015 MONOPOLY WORLD CHAMPIONSHIPS have just been announced and Hasbro is on the look out for the UK and Ireland’s Best Monopoly Player with regional heats taking place for the 2015 MONOPOLY World Championships across the UK and Ireland. MONOPOLY fans will have the chance to compete for a spot in the UK and Ireland final at The View From the Shard, with the winner traveling to Macau for the world final. A specially designed double-decker bus, fitted with ten MONOPOLY tables, is visiting 12 locations starting in Belfast on Saturday 30th May. In honour of the 80th Anniversary of MONOPOLY, each regional event will play host to 80 adult and 80 junior competitors across four heats. The winners from each heat will go through to the regional final later that day, before two winners are crowned (one from the adult pool and one from the junior pool). Winners from each regional final will make it through to the UK and Ireland final on Sunday 19th July. There will be half price fish & chips in Irish Traditional Italian Chippers around the country on Wednesday May 27th. National Fish & Chip Day launched celebrating 130 years of the Irish Italian tradition of a ‘one and one’. Annually, the total number of jobs advertised online has risen by 7 per cent in Q1 2015 compared with the same quarter in 2014. An increase of 4 per cent in jobs advertised online is reported by the IrishJobs.ie Jobs Index for the first quarter January to March 2015 compared with the previous quarter. According to the Jobs Index, across the economy, one in 10 jobs are in IT; one in 10 in Banking, Financial Services and Insurance; 9 per cent of the jobs are in Sales; 9 per cent are in Hotel and Catering; with approximately 6 per cent in Production and Manufacturing or Customer Service and Call Centres; and with 4 per cent in Retail, and in Science Pharmaceutical and Food. Employers continue to hire across many sectors according to figures revealed by the IrishJobs.ie Jobs Index for Q1 2015. An increase in jobs advertised online is recorded for sectors including: Legal, up by 23 per cent; Tourism and Travel, up by 23 per cent; Construction, Architecture and Property, up 12 per cent; Beauty, Haircare and Leisure, up 13 per cent; Medical Professionals and Healthcare, up 10 per cent; Hotel and Catering, up 10 per cent; and Science, Pharmaceuticals and Food, up by 5 per cent. The annual 7 per cent increase in jobs advertised online was driven in particular by, Production, Manufacturing and Materials, up 169 per cent; Banking, Financial Services and Insurance, up 99 per cent; Tourism, up 46 per cent; Science, Pharmaceuticals and Food, up 37 per cent; and Medical Professionals & Healthcare, up by 34 per cent. The only sizeable declines in first quarter jobs advertised online are evident for Engineering and Utilities, down 12 per cent; Security, down 12 per cent; Social and Not for Profit, down 12 per cent; and Retail, down 5 per cent. Sectors experiencing decreases annually include Hotel and Catering, down 39 per cent; Education, Childcare and Training, down 20 per cent and Customer Services and Call Centres, down by 16 per cent. Today saw the Irish Association for Supported Employment (IASE) launch the eighth annual National Supported Employment Week, which will run from Monday 20th – Sunday 26th April. Job Shadow Day (Wednesday 22nd April) is the highlight of the week and will see hundreds of people with disabilities take the opportunity to shadow a workplace mentor as he or she goes about a normal working day. Supported by businesswoman Norah Casey, the IASE is calling on businesses throughout the country to promote equal employment opportunities and sign up to participate at www.iase.ie. A national project, Job Shadow Day brings people with disabilities and local employers together to highlight the valuable contribution people with disabilities can, and do make in the workplace. Last year, over 625 individuals with a disability shadowed at 501 employment sites in Ireland, with 34 securing a permanent job placement as a direct result. 113 jobs have been secured through the initiative since 2008. Job Shadow Day is designed to give people with disabilities the unique opportunity to get a close up look at the world of work for one day or one week in April each year to discover and learn about the skills and education required to compete and succeed in the work place. 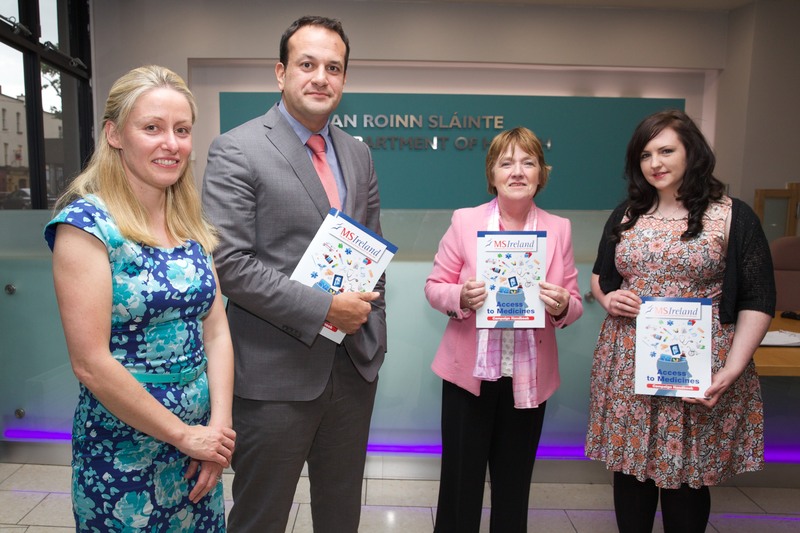 IrishJobs.ie, Ireland’s number one recruitment website, is the main sponsor of National Supported Employment Week and the Job Shadow initiative. This year, the IASE is inviting the public to play a more active role by joining the conversation on social media – tweeting a workplace selfie under the hashtag #workie, taking a 60 second video explaining why you support Job Shadow Day, or by nominating a company you know to get involved under the hashtag #JSnominate (@IASEemployment). Employers and job seekers interested in participating in Job Shadow Day 2015 are invited to register their interest at www.iase.ie. Ireland. Wednesday, 4th March 2015: Multiple Sclerosis Ireland, the national organisation providing vital services and support to the whole MS community, is encouraging Irish women throughout the country to get active for MS and sign-up for the VHI Women’s Mini Marathon taking place on Monday, 1st June 2015. Multiple sclerosis is the most common disabling neurological condition of young adults in Ireland, with over two-thirds of the 8,000 Irish people affected being women. Many of these women are diagnosed between the ages of 20 and 40. This is a time when most people are planning for the future, possibly considering travel, progressing their careers or planning a family. A diagnosis of MS can often make it more difficult for a person to make these plans for the future. There is currently no known cause or cure for the condition. “Without a doubt, exercise has a positive effect on all of us and there is significant evidence to suggest that physical activity can improve many of the symptoms of MS such as walking mobility, fatigue and mood,” comments Ava Battles, Chief Executive, MS Ireland. Battles continues: “I’m constantly inspired by the women with MS that I meet – their strength, hopeful outlook for the future and unwavering determination not to allow their MS to define them. 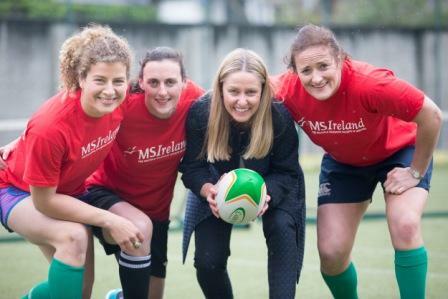 MS Ireland hopes to highlight this positive outlook and encourage women to take part in this fantastic event to show their support for Irish women living with MS”. Funds raised by women participating for MS Ireland will support information, specialised services and resources to the MS community in Ireland. Panasonic has enhanced its European range of high-end consumer camcorders with three new models – the HC-WX970, HC-VX870, and HC-V770, the world’s first Full HD consumer camcorders to include High Dynamic Range (HDR) Movie function. The new line-up offers magnificent video recording capabilities, advanced shooting features and functionalities, and smart connected technology to give the amateur videographer all the tools they need to realise their own creative visions. The HC-WX970 and HC-VX870 models are both equipped with 4K Video Recording and 4K Photo mode which delivers four times the resolution of Full HD, contained within a beautifully designed and compact body. Combining the premium Leica Dicomar Lens, an 8.29M back-illuminated sensor (BSI), and a Crystal Engine 4K processor, you are now able to capture your world with stunning cinematic image quality. Panasonic’s HC-WX970, HC-VX870 and HC-V770 models include High Dynamic Range (HDR) Movie functionality which is a world’s first for Full HD consumer camcorders. HDR recording combines the best elements of two images taken with different exposures to create crisper, clearer videos. The result is a reduction in overexposure and underexposure enabling you to record beautiful videos with a more dynamic range of contrast between dark and light areas when played back. Featuring a 4-Drive Lens System, the HC-WX970 and HC-VX870 models enable 20x optical zoom in 4K resolution; while the models’ high-speed, high precision Auto Focus (AF) technology means you can capture the action perfectly, even when a scene suddenly changes. With a new Advanced Twin Camera function, the HC-WX970 allows you to shoot in different angles at the same time – meaning you could also film your own reaction to your momentous occasions as you film them. A sub camera placed on the edge of the LCD monitor captures the second feed in a picture-in-picture format, while also featuring ±20° tilt function and a 2x zoom. To further boost the Advanced Twin Camera functionality, the HC-WX970 includes Narration Mode and a backup function. The Narration Mode emphasises the camera user’s voice so that a commentary can be added to the movie and the back up function enables the main camera image and the picture-in-picture video to be recorded as separate scenes so that each can be played back on their own if required. All models also feature the Wireless Twin Camera function, allowing you to use a Wi-Fi connected smartphone or tablet as a sub camera. This gives you the ability to remotely record from two angles at exactly the same time, providing a wide variety of ‘Picture-in-Picture’ videos. 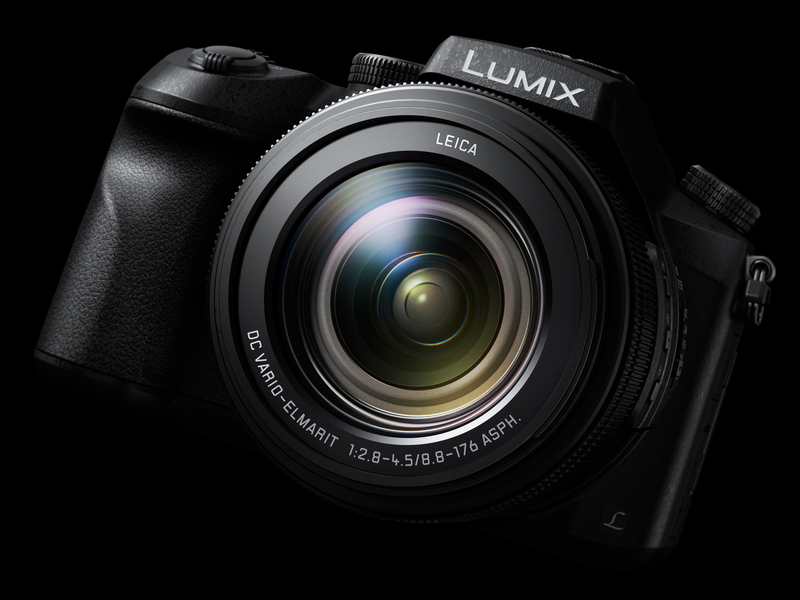 Panasonic’s original Level Shot function, which automatically detects tilting and levels the image, is available in all these models. The setting can be adjusted to one of three levels (OFF, Normal, Strong) depending on the shooting conditions. The HYBRID O.I.S.+ (Optical Image Stabiliser) uses five-axis correction to thoroughly suppress blurring, whether you’re shooting wide-angle or powerful zoom shots, making it possible to capture crisp, clear images in almost every shooting situation. The HC-WX970, HC-VX870 and HC-V770 camcorders also include a Baby Monitor feature, which enables you to check on a sleeping baby in another room with the camcorder connected to your home network with a smartphone. You can call out to the baby using your smartphone, or have notifications sent to your device when your baby’s crying voice, or other sound, is detected. You can also provide live streaming of video over the internet using USTREAM. 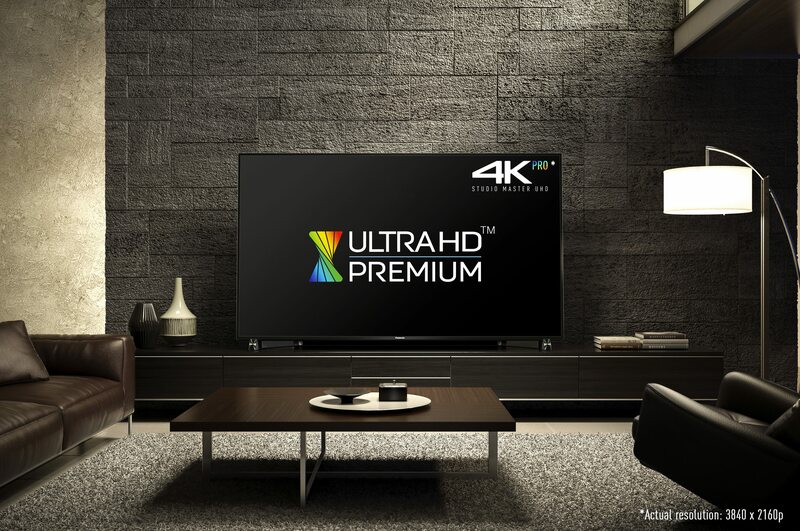 Panasonic, a global leader in 4K Ultra HD and HD TV technology has unveiled its 2015 lineup of next-generation Life+Screen 4K Ultra HD and HD Smart TVs at the 2015 International Consumer Electronics Show (CES). The latest additions to Panasonic’s rich heritage of critically-acclaimed TVs dramatically expand the range of Panasonic’s 4K Ultra HD TV models, and also offers enhanced Beyond Smart features for further-simplified, intuitive operation. Panasonic’s 2015 lineup includes four 4K Ultra HD series (CX850, CX800, CX650, CX600) for a total of 9 models.The expanded 4K Ultra HD lineup — which delivers four times the resolution of Full-HD — broadens the options for consumers to select a next-generation, high-resolution TV with high picture quality to suit their lifestyle. CX850 Series – Flagship high-end series featuring superior 4K picture quality, Beyond Smart TV functions and an exclusive, direct-to-TV voice command feature. CX800 Series — High-end 4K series with superb picture-performance functions along with the newest Beyond Smart Features. CX650 and CX600 Series — Mid-range models equipped with new Beyond Smart Features to allow users to easily enjoy 4K Ultra HD picture quality. Panasonic’s next-generation 4K Ultra HD TV models are equipped with high-picture-quality functions to make the most of 4K images. Newly developed display panels offer improved brightness and a wider color gamut. A significantly widened color reproduction range achieves rich color expression and the improved brightness performance displays brighter, more vivid images. Local Dimming technology achieves deeper black expression and smooth, detailed gradation. Panasonic’s 2015 Life+Screen Smart TVs are equipped with cutting-edge features designed to deliver to users access to their favorite content easily without having to perform complex setting procedures or refer to a manual. Through Panasonic’s collaboration with Mozilla on the 2015 Life+Screen Smart TVs , powered by Firefox OS, Panasonic’s TV GUI has advanced significantly from last year making it even easier for users to access quickly the content they want — live TV, devices, and applications from a single gateway. It is also customizable by using the “Pin” function, which allows users to bookmark their favorite channels, devices, apps, web pages for quick access. 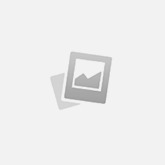 Firefox OS also offers improved connectivity due to the use of open Web standards and greater flexibility for developers through WebAPIs that enable connected experiences across platforms. Panasonic’s 2015 Life+Screen TVs will also include Xumo® Guide, a built-in service that enables quick and easy discovery of content from multiple sources. One of the key features of Xumo® Guide is the ability to provide relevant content recommendations based on user’s viewing history, in addition, users can search for specific titles across multiple apps or browse content by genre from various VOD services. The CX850 Series features exclusively a new advanced Voice Command feature — Voice Assistant Pro* — which performs voice commands spoken directly to the TV without using a remote control. It is capable of performing various operations according to voice commands, such as changing channels and searching for content. All 2015 Panasonic 4K TVs feature Voice Assistant which enables the user to change channels and search for desired content by simply speaking into the TV’s Touch Pad Remote or TV Remote App on their Smartphone. * Supported only by the CX850 Series. For more information about the latest Panasonic Life+Screen Smart TVs and home entertainment products, visit the Panasonic CES website at www.panasonic.com/CES and the Panasonic USA website at www.panasonic.com. Panasonic Corporation is a worldwide leader in the development and engineering of electronic technologies and solutions for customers in residential, non-residential, mobility and personal applications. 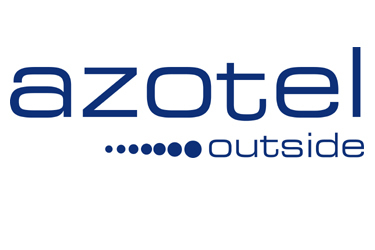 Since its founding in 1918, the company has expanded globally and now operates over 500 consolidated companies worldwide, recording consolidated net sales of 7.74 trillion yen (57.74 billion Euro) for the year ended March 31, 2014. Committed to pursuing new value through innovation across divisional lines, the company strives to create a better life and a better world for its customers. For more information about Panasonic, please visit the company’s website at http://panasonic.net/.